After weeks of promising to begin painting and now that the weather has changed I have finally got things started. I have been meaning to create a series of stylised images of the wonderful variety of hill towns we have here about. Tiny hamlets, monasteries, castles and abandoned farms all cling precariously to the hill slopes and the people miraculously eek out a living, as they have for thousands of years. 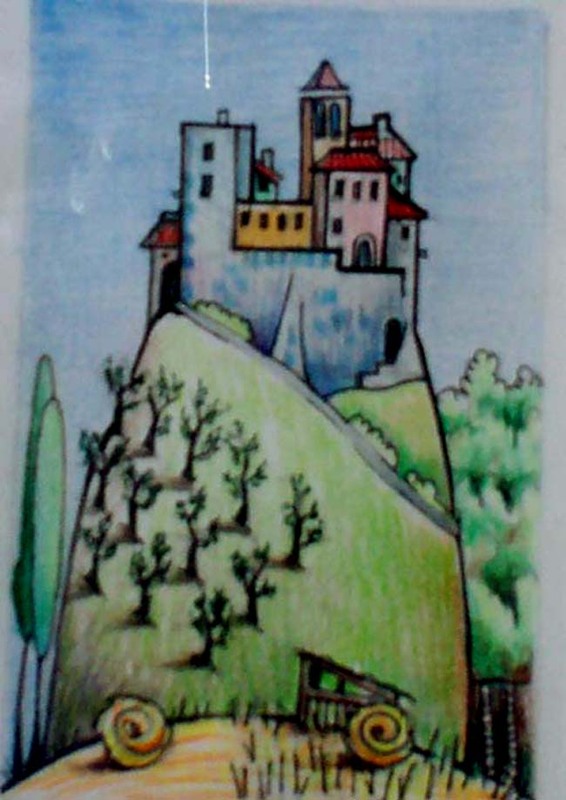 The sheer variety of locations makes painting and drawing in Umbria and Tuscany such a pleasure, there is always a new village nesteling in the next valley or wonderful medieval church sitting proudly on top of the next hill. 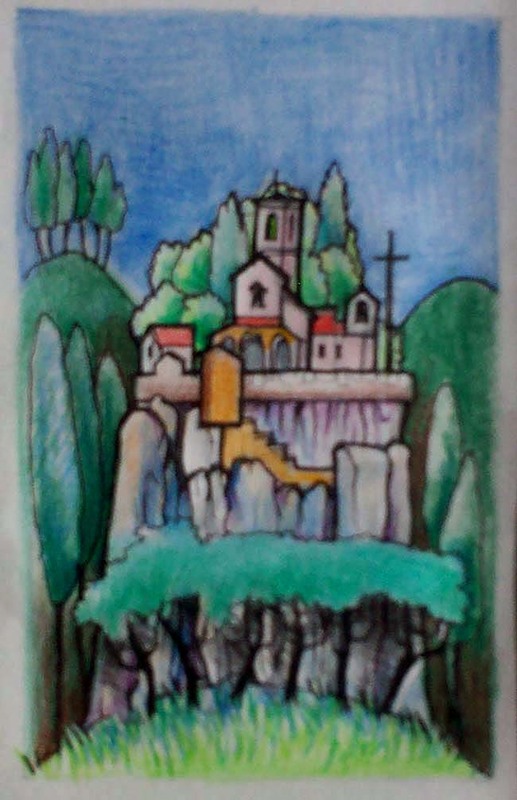 So here is the start to my hill top village series. Enjoy. All paintings are on heavy cartridge paper, in water soluable pencil and ink and measure around 85mm x 130mm. 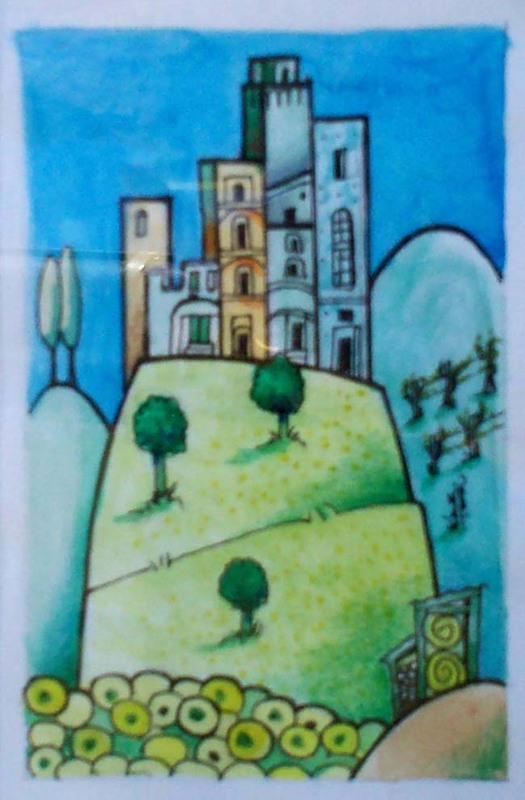 This entry was posted in Painting, tours and tagged Anghiari, art, Assisi, hill town, ink, landscape, painting, Trasimeno, watercolour. Bookmark the permalink. These are so fun. I love them. I saw this on IR and ran right over. Will have to have a good look round. Hi Marla, thanks for that, I am glad you like them. I have been meaning to draw then for ages and now can’t stop myself. I will have to post some more if people like them once the series has grown a little more. I have been to these towns and enjoy these interpretations! 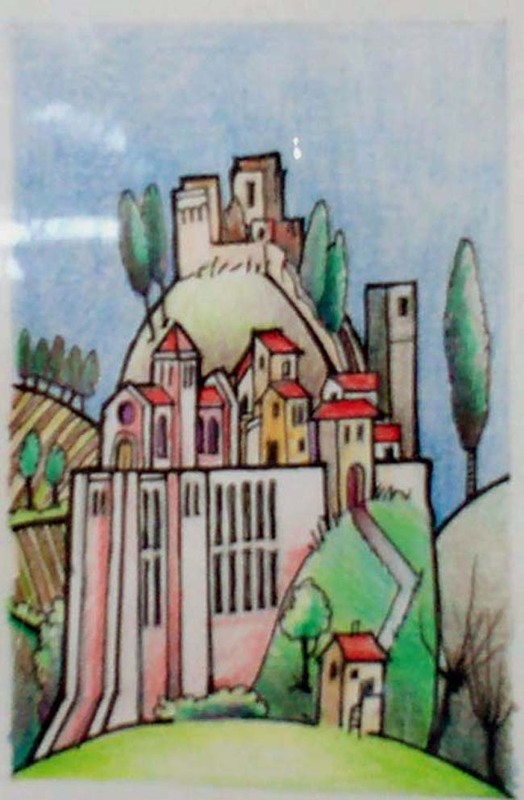 I love this painting of Assisi because it has the wee San Damiano Church at the bottom of the hill in it. Is this available to purchase? Sorry Particia, it was sold a little while ago now. But I can paint another version if you’re interested. 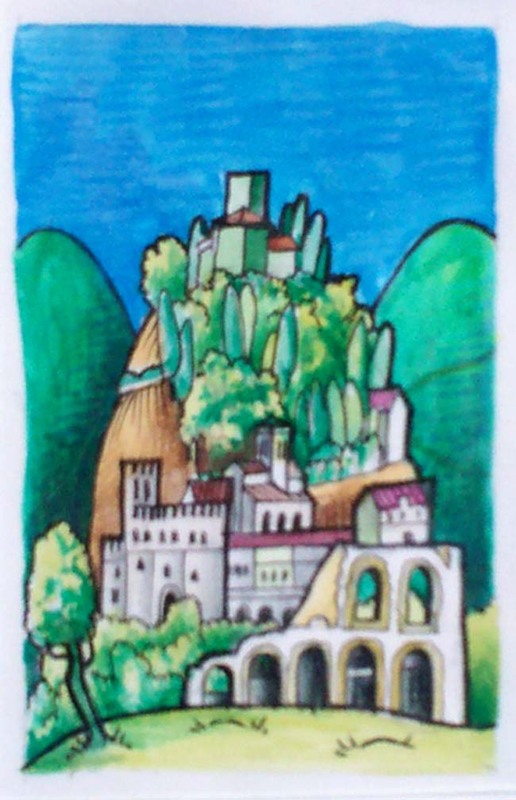 Or I am currently working on a large one of the whole of Mount Subassio with Assisi and Spello at each end. 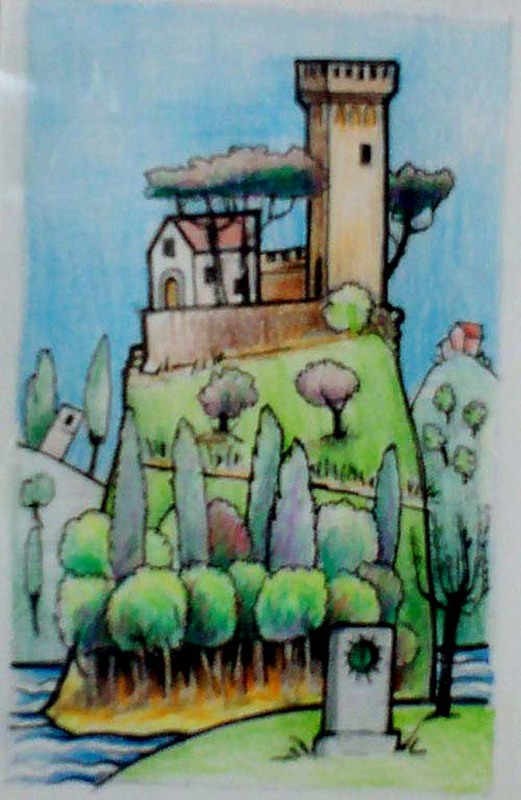 There are more on my painting website http://www.umbriartgallery.wordpress.com That’s where I post all my latest paintings and current ideas too. I’ll keep a look out for the large one you’re working on, I like the sound of it!